Forget what you know about Gran Fondos. 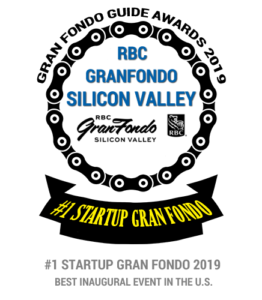 For RBC GranFondo Silicon Valley, we’ve re-written the cycling experience to put you at the very heart from start to finish. Hosted at the Four Seasons Silicon Valley, the course takes you out and back over some of the finest cycling roads on the planet. The rest stops have more than just gels – how does a freshly-made brunch sound? With professional neutral roving support vehicles, mechanics and medics as your team, you’ll arrive back to a finish line fiesta. We’ve done away with that questionable burger and curated Executive Chefs to prepare a feast of street food options and drink pairings to savour your victory. We’ll host celebrities for you to meet, invite some trendy folks from the cycling industry to let you try the latest trends and pack in a whole host of surprises that’ll leave you purring for more. Ladies and gentlemen, the words Gran and Fondo just got upgraded. La Honda; Alice’s Restaurant; The Bike Hut. Inaugural riders are set to take a tour through some of Silicon Valley’s most iconic cycling locations, tackling leg-testing climbs and magnificent descents to delight the senses throughout. Making the most of historic Stage Road as well as rugged Pacific views punctuated with riding through the ranches of Pescadero, the famous Redwoods at Purisima Creek and a procession through downtown Silicon Valley itself, you’ll experience a ride like no other. In 2019, take the full challenge of a 71 mile loop or ride the shorter 47 mile Medio. It’s not just a ride, it’s a weekend fiesta. It’s about the experience of going for a big ride with your friends and celebrating properly afterwards. You start and finish from our dedicated Celebration Plaza carnival zone hosted at the foot of the Four Seasons East Palo Alto, and the party well and truly flows. You’ll get an ice-cold beer, wine or soft drink when you cross the line along with a awesome hot street-food options thanks to executive chefs at the Four Seasons Silicon Valley. Pull up a chair, grab your friends and soak up the beats the DJ’s putting down. The celebration’s just getting started. Prices are USD. Prices change at 2pm PT unless specified. All registration costs are subject to online processing fees and applicable taxes. Join the ride. Limited to 1000 participants.